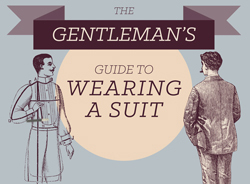 You don’t need to be a Marine to be a fit guy. While none of us here at Dapper Guide are ripped like Arnold, some of us consider ourselves athletes and part-time adrenaline junkies. 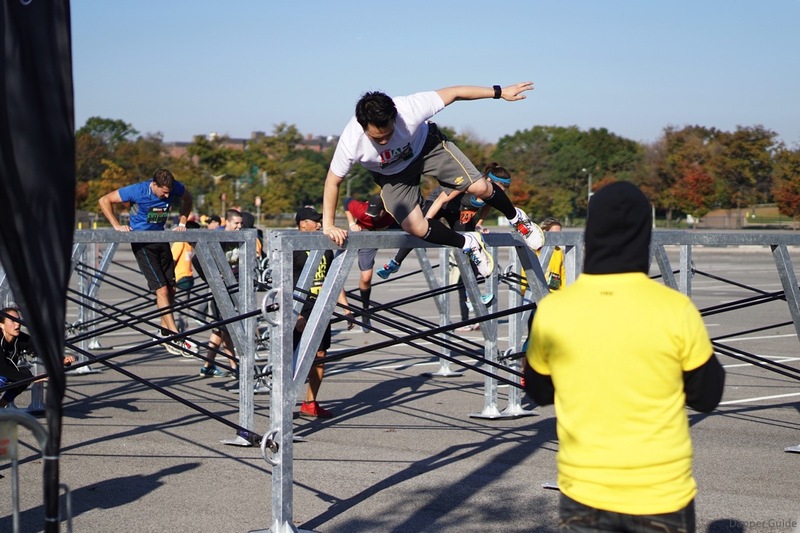 The Men’s Health Urbanathlon is no cake walk. 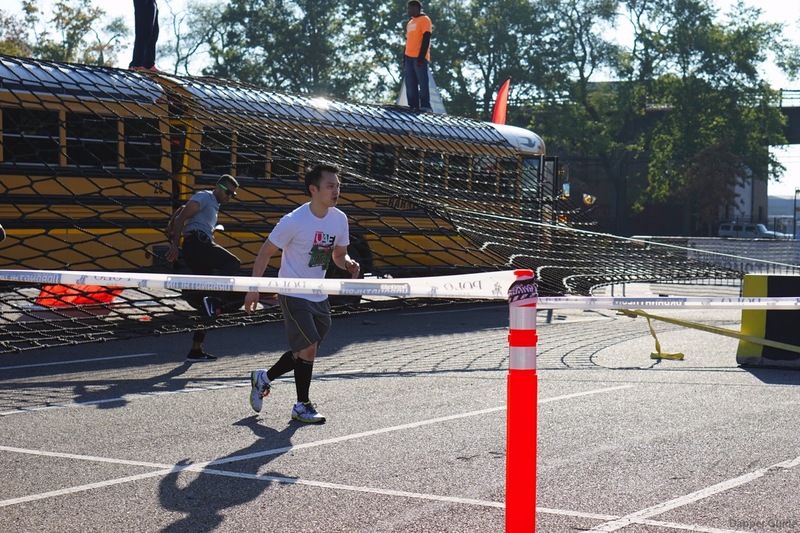 Held in three cities (Chicago, New York and San Francisco), the challenge is one that requires high endurance. Without it, you won’t last very long. 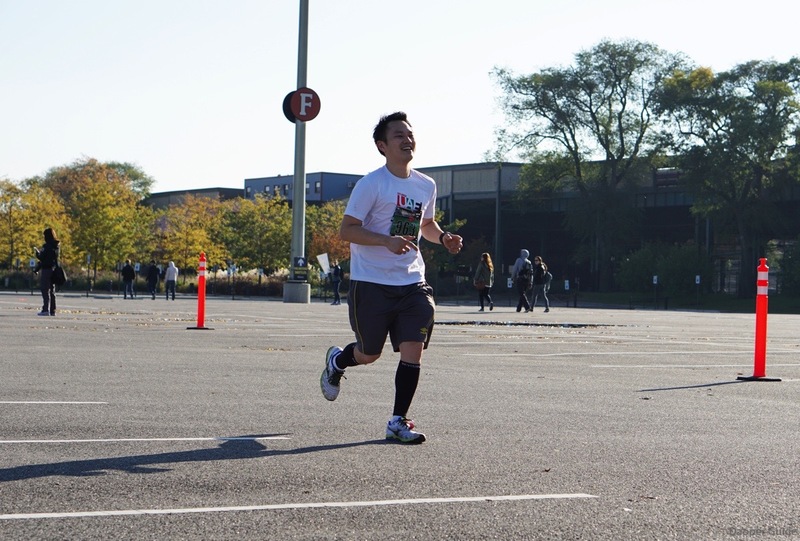 Our own Managing Editor Bruce Leong has been training all year to get into the coveted New York City Marathon, but ended up falling short of qualifying. No biggie. 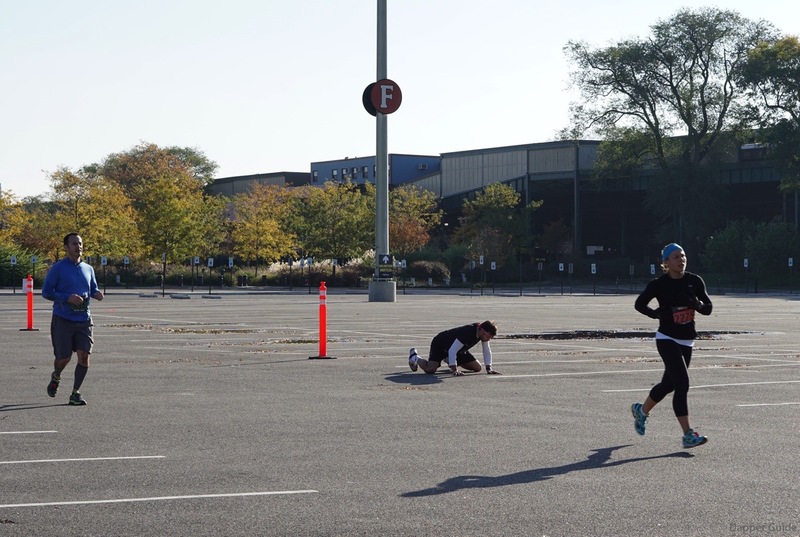 Marathon running? Easy for him. 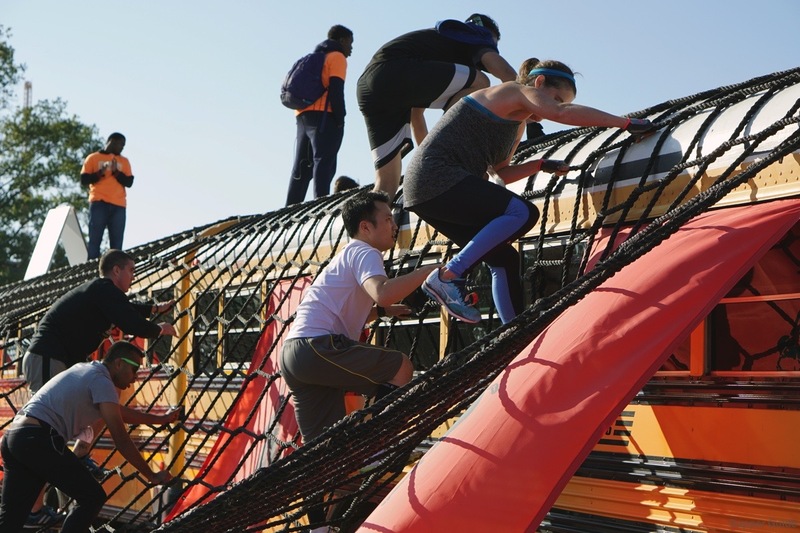 Running 10 miles and toughing through 14 obstacles, including jumping over hurdles, climbing up the steps of Citifield, crawling under Volkswagen Gold GTI, leaping over taxi cabs, and rising on top of a school bus? It’s not as easy as he makes it look in the photos below. 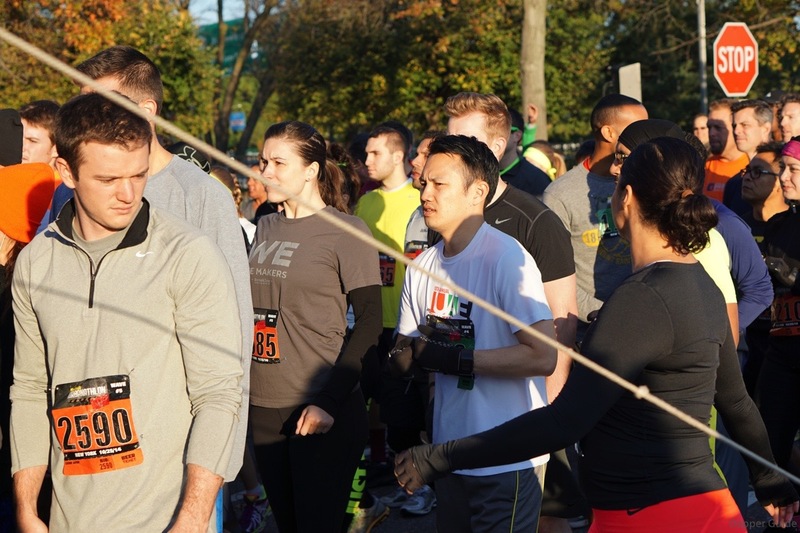 After running 10 miles, your body is begging to give up at the final obstacles. 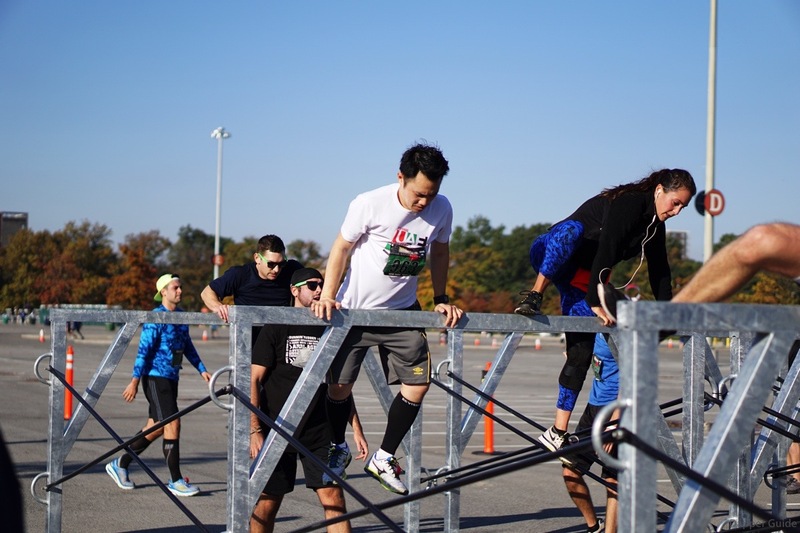 We witnessed some athletes’ legs give out on the final stretch from fatigue and dehydration and we watched others barely breaking a sweat. One crazy couple team even upped the challenges by wearing 25-pound weight vests. 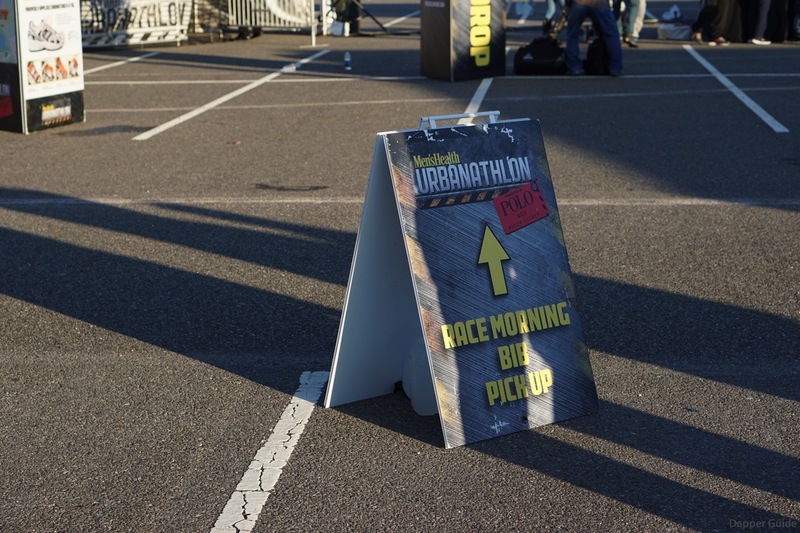 To adrenaline junkies, the Urbanathlon is another competition to claim first prize. 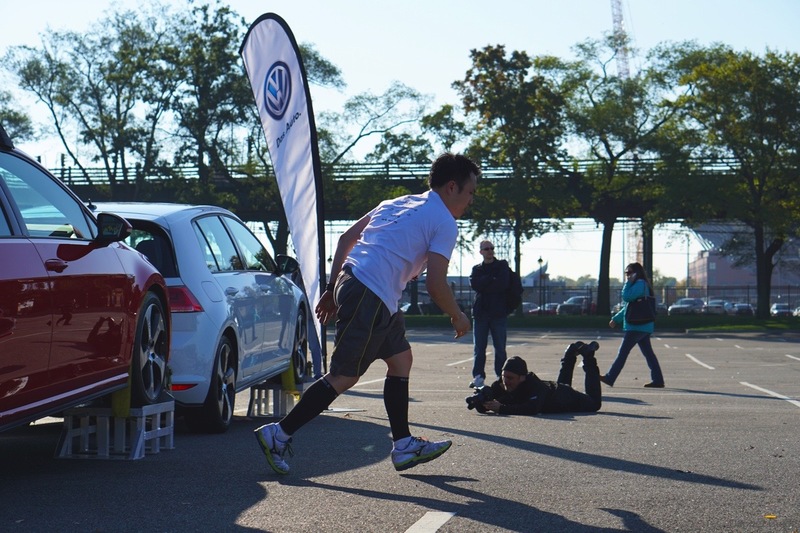 To the rest of the competitors, finishing is all that matters. And don’t worry, once you finish, you get a shiny medal, all the protein-infused Oberto beef jerky you want, and a free beer. 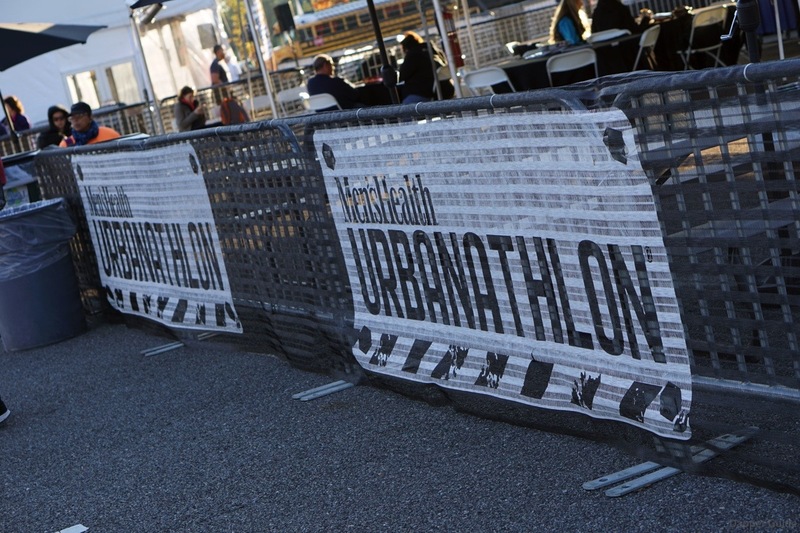 Think you have what it takes for the Urbanathlon? 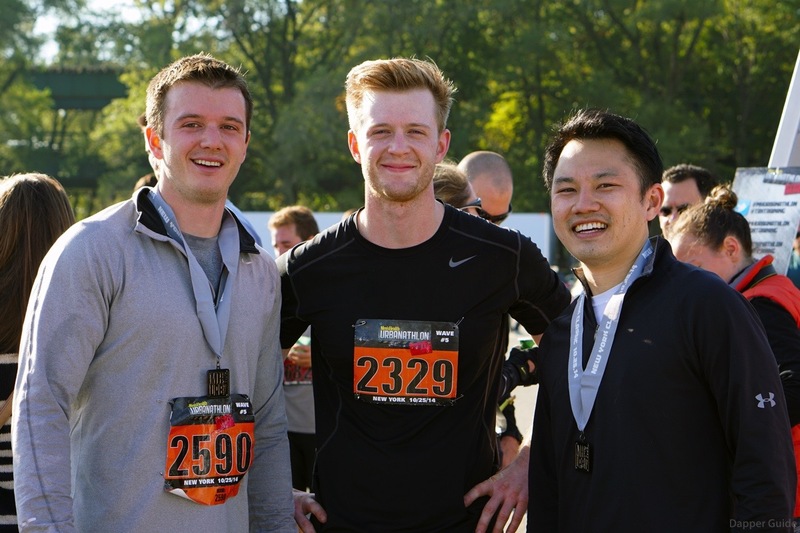 There’s still time to sign up for the San Francisco event on November 23. 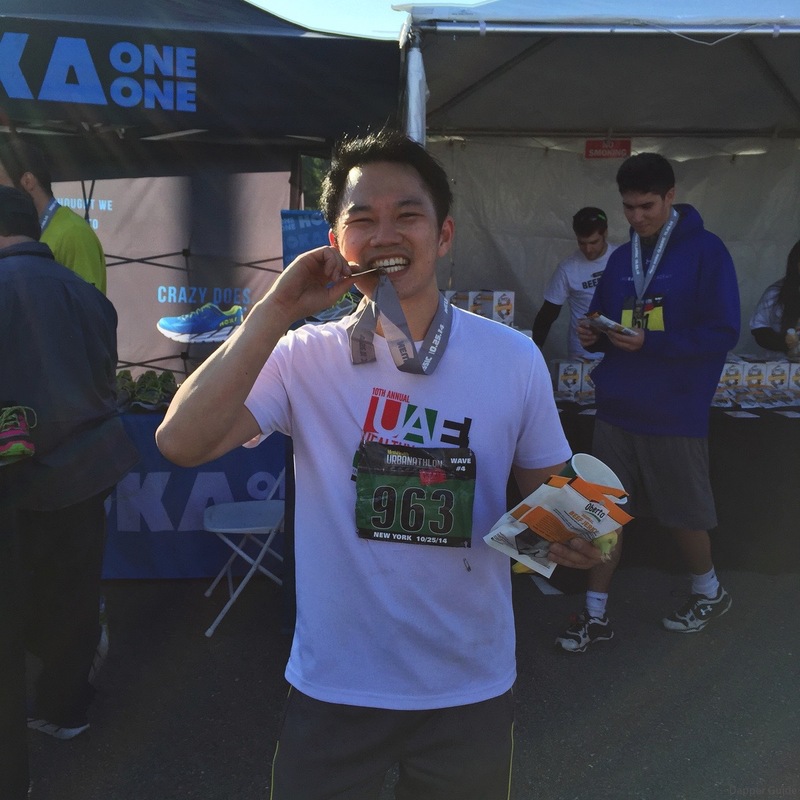 Otherwise, take a look at our recap with Bruce killing it in the 1.5-hour challenge. Before the event, there’s a voluntary group stretch and then it’s off to join your wave group. That’s Bruce in Wave 4, starting minutes after the first wave has left. 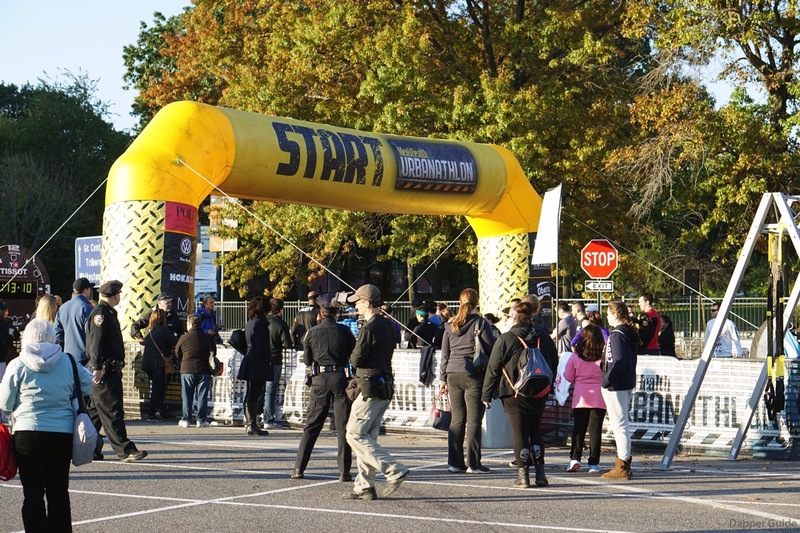 The starting line. 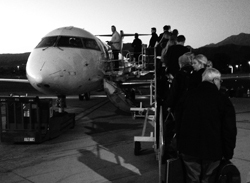 Always arrive early, or you’ll miss your wave or even the whole event. We saw a few guys turned away because they were tardy. 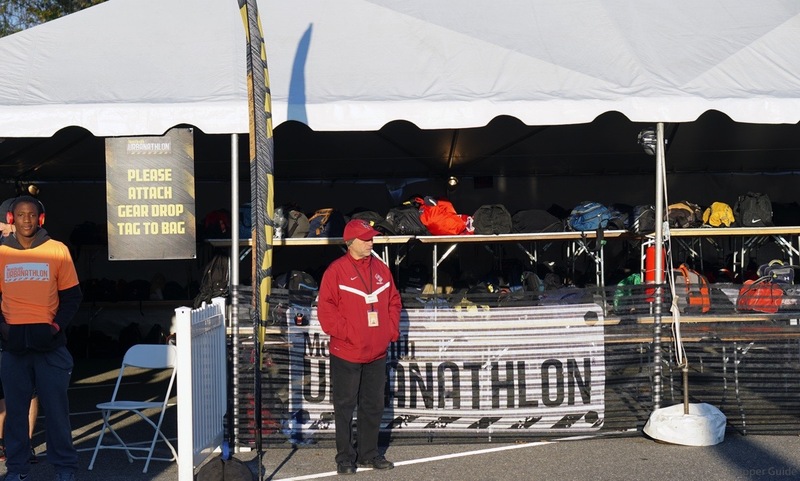 There’s a tent to stash your gear, bags, gadgets, etc. Come back after to pick up your stuff. 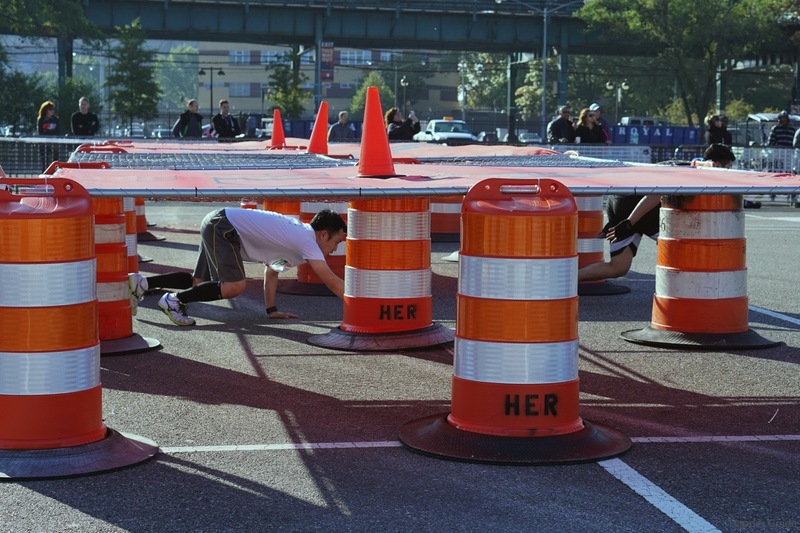 This is the Urbanathlon course in NYC. 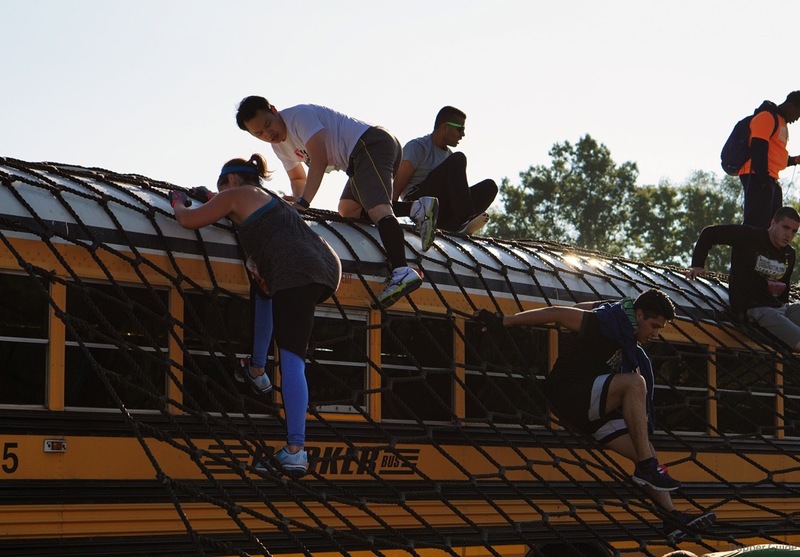 It’s 10 miles long and littered with over a dozen obstacles. 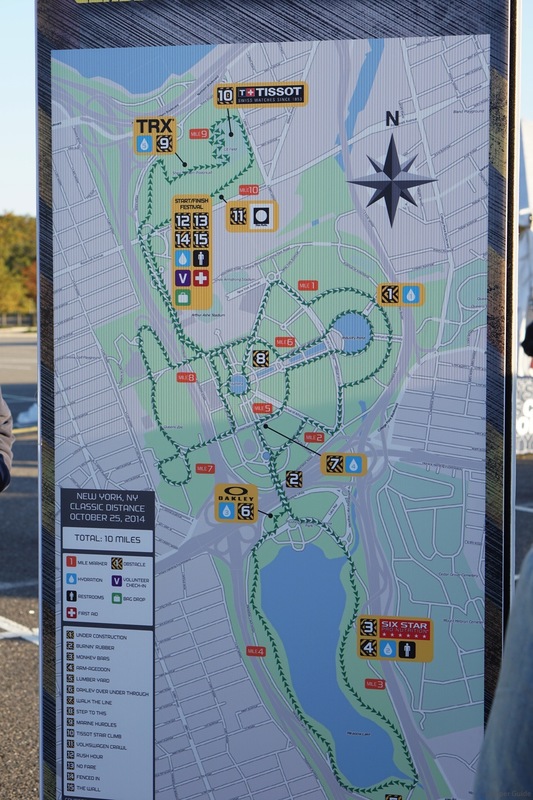 It starts from Citifield, goes through Corona Flushing Park and then back. Sponsored by Men’s Health, of course. 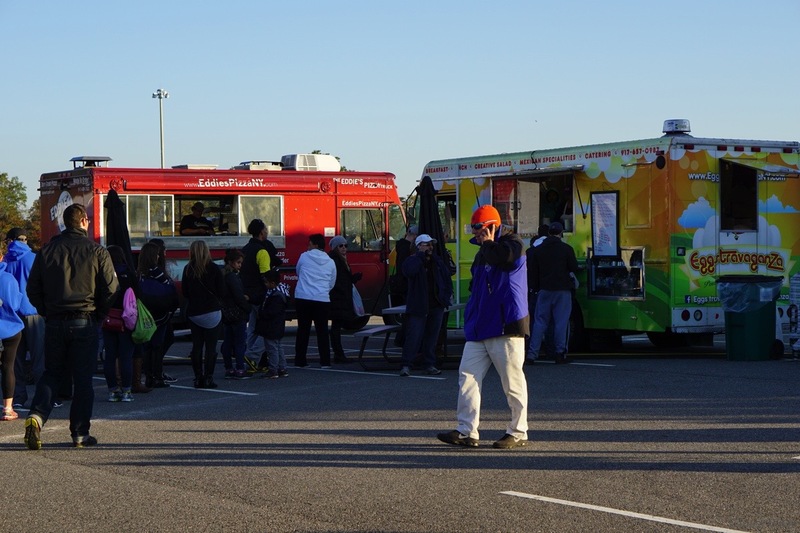 You can grab some breakfast from two food trucks. One served thin pizza and the other classic breakfast rolls/bagels. $4 for a bacon, egg, cheese and $2 for a small coffee. Careful not to hurl it all out, though. 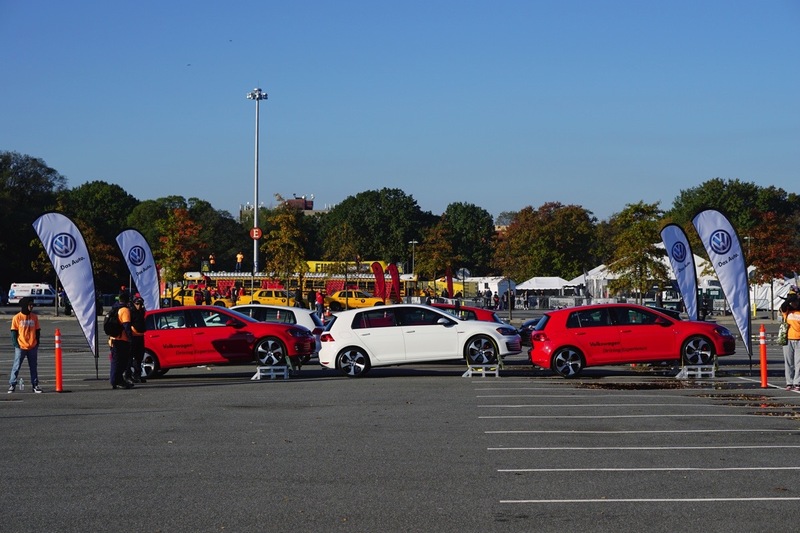 On the final stretch, contestants need to crawl under these Volkswagen Golf GTI’s. Then it’s off to leap over some NYC taxis. 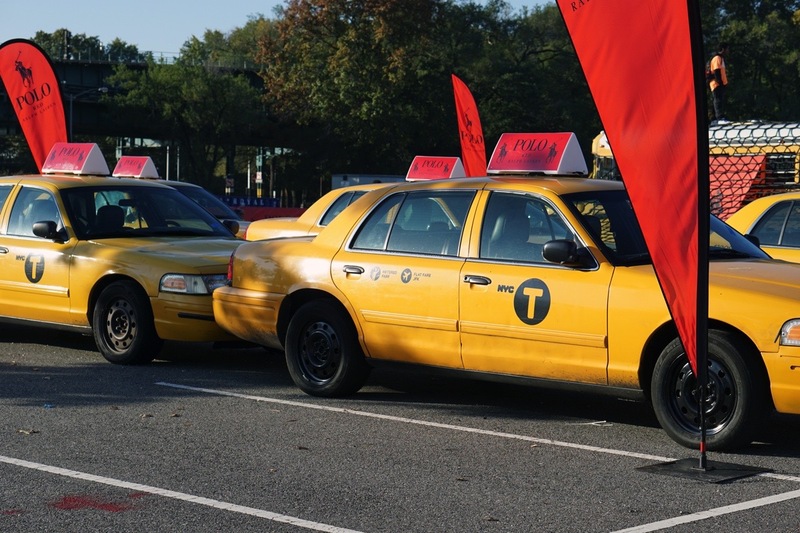 These are real taxis. When will you ever get to do this in real life? Then pass the finish line a champion. 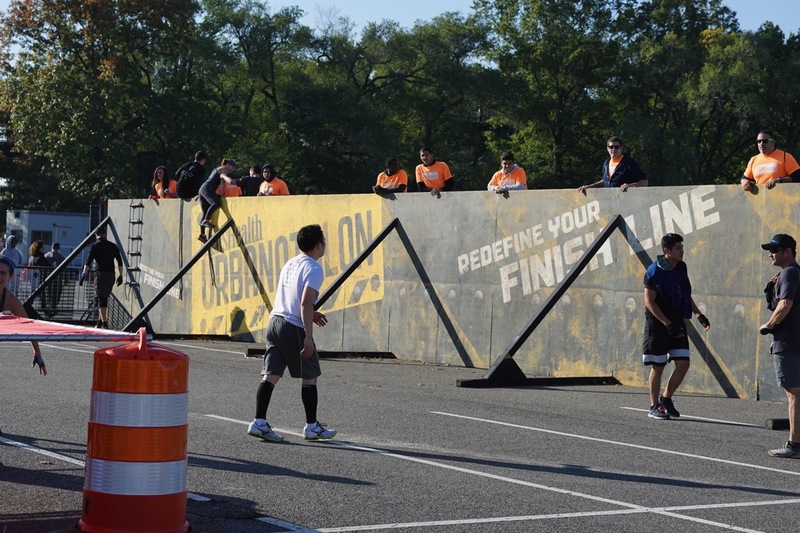 The first obstacle back at Citifield and before the grueling stadium stair climb is the hurdle jump. Here we got Bruce busting through them with ease. 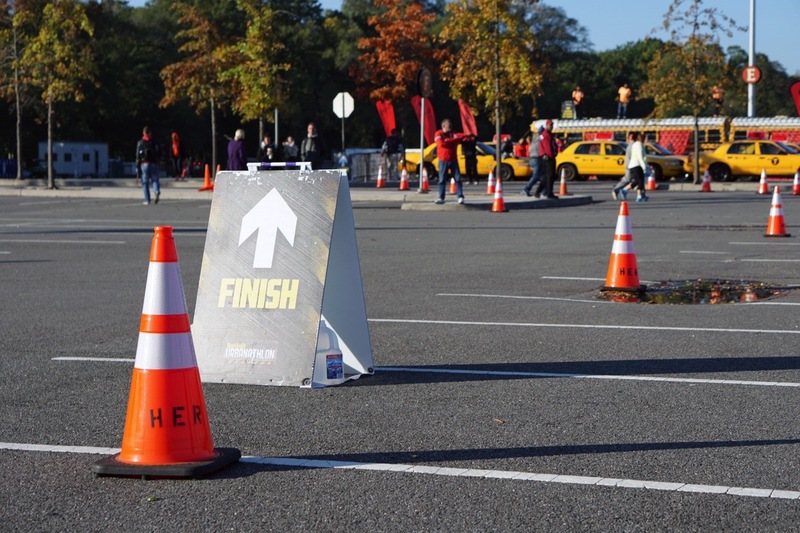 After the stadium stair climb up and down, it’s back down to the parking lot for the final challenges. Unfortunately, bodies can give out and for this guy, his legs just wobbled out. Never crowd a guy. 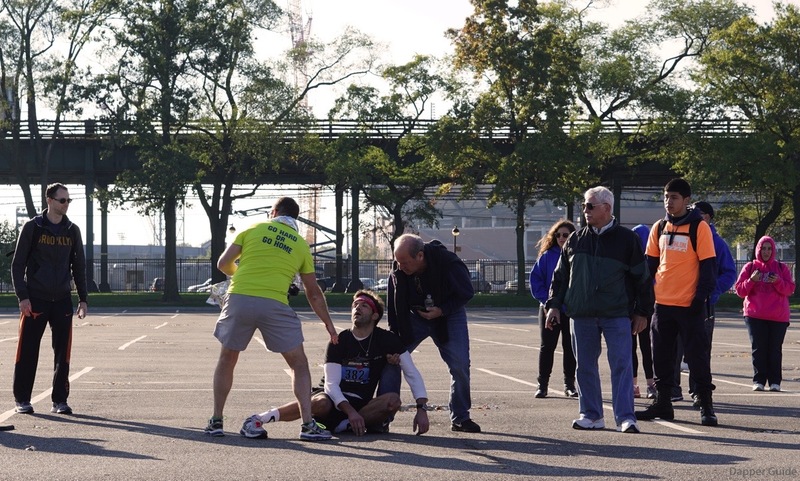 The proper volunteers and medical staff will rush over as soon as they’ve been alerted. This poor guy really needed hydration. 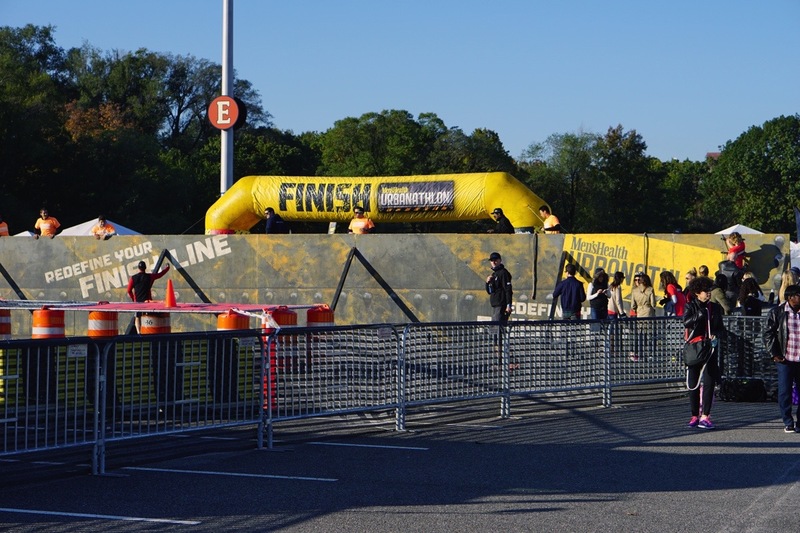 Our Bruce on the final obstacle stretch. Time to get under those cars! For a New Yorker, this part’s a lock. 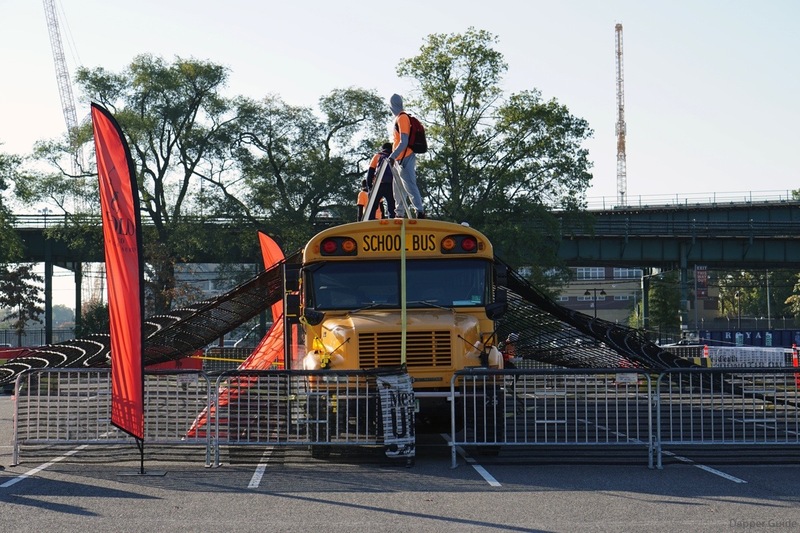 …net and over this bus. Sometimes you have to wait your turn simply because a wave has too many people at once. This last part is the wall climb. There are ropes to go up, but they’re located on the side. Bruce had to kick the wall and hoist himself up and over. Not easy. The reward: a chunk of metal around your neck and some freebie Oberto beef jerky protein snacks. 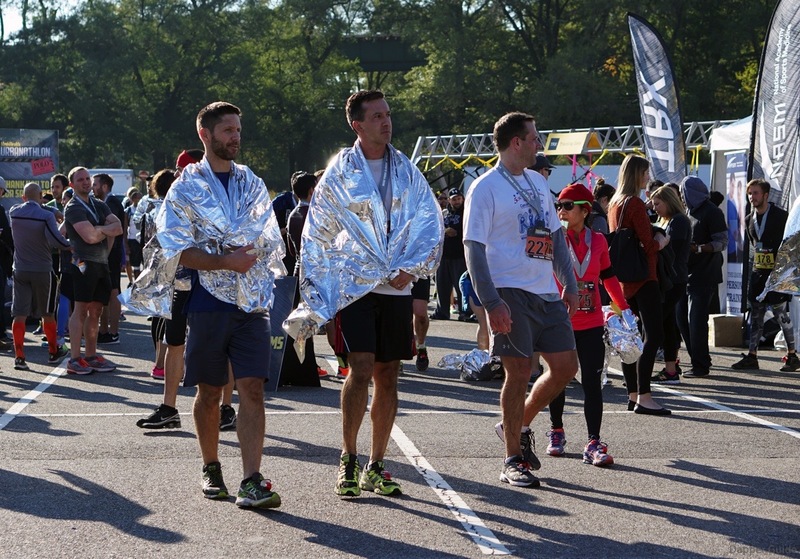 These foil wrappers are for athletes to quickly warm themselves up when competing in cool-cold weather conditions. It’s fall here in NYC, so mornings are brisk. 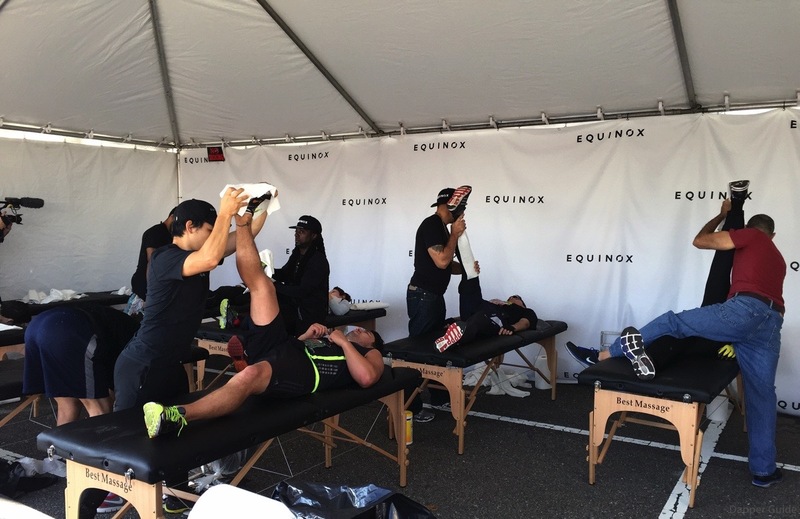 And if you’re willing to wait on some long lines, you can get some free massages/stretching help in these tents.